I don't follow your leap to "computer users must turn off 90% of their knowledge". Yes, that's what Romain Guy says, but that doesn't make it true. It seems to me an "Advanced options for computer users" section, with a "Quit" button, would serve everyone's needs. I have no idea who this "Romain Guy" is, or why he is quoting me. Closing recent tasks will quit the app, as does stopping from app info. ADB allows shell access for advanced users. "If the user wants to minimize an app, then the best thing is to minimize it. If a user wants to exit an app, then by all means it is best to exit." - There is a thing (based on more that decade of experience): users rarely knows, what they want. If you do not help them, you will have to change it. About samples above: let me give you other sample: you are working on a car and have a table at hand for things. Do you always put away to correct place all necessary tools to cabinet or keep the most used ones at hand? And just put away a big late used one to have place for new ones? HoGo, thanks for your comment. Naturally, I do disagree. Specifically, as best as I can tell, your view is that since some users don't know what they should do, therefore don't let any users do what they should do, not even the ones that know what they should do. If android had a way to accurately know whether it should terminate an app instead of minimizing it, then fine. But it doesn't, and forcing all users to always live with minimization when they want to exit leads to poor device performance. It doesnt exit the app instead it comes to Mainactivity. But be careful - onPause() IS NOT called in the case of killProcess and System.exit. We had some problems with that. Why are you calling finish() right after startActivity(i1)? What is the goal here? Exit and Back are not always used for the same purpose. Take, for example, Pandora. When you hit back to get out of this app, it doesn't exit the app (keeps it playing in the background as a service). @IgorG. A music player app needs a "Stop" button to stop playing music, not an "Exit" button to exit the app. Have you ever used Pandora, iHeartRadio, Spotify, Jango and other music streaming apps? They all have a quit button. Stopping music play is NOT THE SAME THING as quitting an app. Especially if you have a service running in the notification bar. @IgorG. I'm sure all those apps implement their so called Exit button by simply stopping their service that plays music and perhaps by finish()ing the activity. It is just that they have chosen to call this button as 'Exit' or 'Quit' to pander to the ignorant users who demand such a button and to give them that warm, fuzzy feeling of completely obliterating the app. How else do you think this mythical quit button is implemented? Using System.exit()??? Mythical or not, primitive users or not, but almost every UI software ever written - on any platform and OS - implements a quit/close/exit button. How else would you implement it? Not many consumers know what an OS is let alone how one works, this does not make them stupid. Wanting an Exit/Quit/Off button makes them normal. When you leave a room you turn off the lights, more importantly when you leave your house you lock the door and this is where I see the problem with the inability to properly exit a program. Leaving the program alive in the background is a big security risk. "I think that a "Exit Button" is stupid". Most software applications provide an exit button. @Squiggles If you have a room that automatically turns off all of its lights and lock your door when you leave, you don't need to care about it. Did you try that? And shouldn't a finish() in the activity that is called first be enough? I tried this but 3 threads were still left running even thought the activities closed. It may have appeared to work when running under the debugger, but in normal use, when I queried running processes from another app, it's still running. You shouldn't be calling super.onStop from onPause method.. This seems like it would screw things up majorly. After reading through 20 or so philosophical answers that merely dodges the question.... +1 for having some code. Yes, having a 'Quit' button is indeed user-friendly. How else would the user quit the app if he is 5 activities deep into it? Sure they can press back multiple times, but I don't think they'd like that. I would start listening to developers of android when they develop memory manager that WORKS. As of Froyo, it worked extremely poorly, killing off random apps, re-starting apps that don't need to be (and have no Intents to start them legitimately), and OTOH, slowing to a COMPLETE crawl when memory hits 50MB free. @JoePlante You can close all the open tabs and windows first and then simply press the back button once to quit :) At least on my GS2 that is. @Logan Dam: No tabs on the 2.2 browser I used, my friend. Really, this amounts to lying to your users to give them a warm, fuzzy feeling. Ultimately, it's better to let the relics of the past fall to the wayside, lest they continue to be permanent fixtures of technology. Mobile and web are new platforms, and aren't expected to behave the same as desktops. And anecdotally, at least, Android's lifecycle decisions seem to be catching on with users: as my biggest app passes its 2 year anniversary, I have noticed the stream of end-user requests for "exit" buttons drying up as they get used to the new platform. @Jon What do you recommend? Not offering an 'exit' option anywhere in the app? Personally I've come to use the home button as an exit button, which I find to be equally satisfying to a red X.
I also haven't found the reasoning behind all the advice saying "don't kill the process". In my opinion, the customer is always right, so what's wrong with providing an exit button after it's been requested and "lying to your users to give them a warm, fuzzy feeling", if that's what they want? This is partly what writing good apps is all about. Most user don't know or care what's really going on under the hood, but if they like your app and it does what they want and expect, they'll come back and buy more of your apps. That's what we all want, isn't it? Or am I missing something? Apple IOS ring a bell? I know. Apple products are good for some consumers. They are not good for developers. Android OS has full potential to become like the "Windows OS of the PC world" for mobile phones. may be even better. It is already more open than windows of the PC world, except it is not allowing us to write a task manager. What do you think represents the "application"? If I open the Facebook app, and set a new profile pic - my Camera or Gallery apps start up. As a user, I'm still performing the same task (using Facebook). If I then decide to close Facebook, my Camera and Gallery apps have to close too (since they are activities launched from Facebook)... What if I was in the middle of editing some of my other pics and had only intended to close Facebook? You would have shifted the problem to potential data loss. Well, I don't think it could go as far as data loss. If you have a third-party activity running in the same task as your own activity, and your own activity is the one with the exit button, then the user has to finish() the third party activity before he can hit the exit button. And the third party activity should be saving any unsaved information at that time. I don't think you can use the app switcher to return to the exit button activity unless it's running in a separate task. And if it's a separate task, it's a separate process, and therefore won't be killed by the exit button. In my mind, the "application" is the underlying linux process that is running all of my activities. But I am not an android guru so maybe my understanding is flawed. I write fortran number crunching code in real life, so maybe I am just a dinosaur. 1. I think 99.99% of Android users should not worry about how the OS manages applications behind the curtains. The rest are geeks and will find advanced tools do make the system behave exactly how they want. 2. You can always unload any sensitive data when the activity gets paused or stopped. 3. Same as above, resources can be freed in lifecycle callback methods. When the activity resumes, resources can be allocated again. I think its rather interesting that sooo many Android users are installing "Advanced Task Killer", an app that closes down other apps since you normally cant do it yourself. I use it all the time myself. Quitting an app is not something I feel you can do without. @ZsoltTörök, 99.99% of people deal with slow computers/phones and are forced out of choice to worry about how the OS manages applications behind the curtains. I agree with this answer, and can think of several more. For example, when I use my Android, I don't want bunches of apps filling the list of apps that are loaded, so I can find the ones I want easily and not be distracted. Also, I don't necessarily want people I show my phone to to see the apps I have been running. I also LIKE the traditional application model's inclusion of a way to close apps and return to a starting point when I want to re-load them. Also apps don't necessarily do nothing when not in the foreground, and I many apps do stuff I don't want being done on my phone, Etc etc etc. I hear that. You have to assume most users are not very tech smart. I get so tired of the mantra of how little "resources" a mobile device has. Wake up, they are running on over 500Mhz and has loads of memory. My old Dell Axim had 128MB of RAM. The current devices out there have usually over 512RAM and running on 1GHZ! That is 10 times more than my old Pentium 90Mhz, and I didnt hear ppl saying "the very limited resources" this and that. Its time to wake up and smell the coffee - we are in the 2010 now, not the 80ies. System.exit() does NOT kill your app if you have more than one activity on the stack. An Android developer who uses it has not understood the basic Android app life-cycle. Read this answer. Actually, System.exit() does kill your app. However, if the System.exit() was called from someplace other than the main activity, android will restart the app with one less activity on the stack. To me that seems like a ridiculous response to a clean intentional System.exit. I mean, if it was a div0 or some unintentional crash, maybe it would be polite to restart. But those don't even cause auto-re-launch as I recall. But in any case, the app is killed. It may be restarted, but that doesn't mean it was not killed. An app can contain Services and Activitys, and it sounds like your app may need both. The activity is only the UI part. 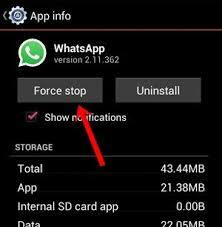 This can crash your app when the users tabs a button twice, especially when the system is under heavy load for any reason. This can be prevented by removing the activities from the array. Mark: Thanks for the good summary. Ted: We're very slowly discovering what functionality you require, like long-lived sessions. As mentioned, you can use a Service for that. Also, I doubt that you need to log in to your app each time you interact with the server -- surely there's a session ID token you can hold onto? One thought that drifted in my head: If I just rewrite the whole app as a Service, and treat that Service as the actual application - perhaps that would work better? Then I could "dumb up" the Activities (just as Android wants them) to just present data contained in the Service. In that case, I could perhaps keep login state and other stuff there. Using startForeground(int, Notification) I can almost stop Android from killing the Service...? "Using startForeground(int, Notification) I can almost stop Android from killing the Service...?" Assuming your users will not mind having an icon in their status bar, this should work. Or, to put it another way, if your service still gets killed due to low RAM even after using startForeground(), you have much bigger problems. "How do you mean I have bigger problems?" I mean that the only way this will occur is if the device is having serious memory issues, probably requiring a reboot. A startForeground() service is 2nd-to-last to have to get killed off for memory reclamation (last being the foreground activity). Since Android apps do not have unlimited heap sizes, the only way this should occur is either because lots of apps are abusing startForeground() or if the OS itself is leaking RAM. "Please note that my users are professionals, that use the device for the sole purpose of using the application Im trying to port to Android." Actually, you have indicated otherwise ("cant be doing that everytime they get a phonecall" -- a "phonecall" is not your app). Moreover, unless you are building your own device, you can't prevent people from installing other apps if they so choose. As another aside, surely you'd be caching the user's credentials anyway if you're relying on long-lived TCP connections for session management? For a mobile application, it would seem a bit crazy to expect the user to manually re-establish their session just because the device lost the network temporarily. @SomeCallMeTim: No, that is not a valid reason to use killProcess(). It is a valid reason to write better iOS code. @CommonsWare: Sorry, but that's a trite answer that is of no use to me. I'm porting code that I'm paid to port. Should I spent twice the time doing the port, rewriting their code, or get it done in the way that reduces costs for my employer, allowing them to put more games on Android sooner? It's an entirely academic question anyway: They don't want me to make such major changes to their engine, since I can't test the changes on iOS. AND it's simply wrong: There's nothing "bad" about using Singleton patterns for appropriate objects. Android is just broken WRT NDK apps. @SomeCallMeTim: "application won't even get an onDestroy() call until well after another instance has a chance to run, reusing the process" -- color me skeptical, but even then, there should be ways to address the problem without resorting to killProcess() (e.g., detect the change in Application object in your NDK library). I suggest that you open a fresh SO question so we can get more info about the exact pattern you are using and problems you are perceiving. @SomeCallMeTim: Dianne Hackborn has officially endorsed your approach, should you need it: groups.google.com/group/android-developers/browse_thread/thr‌​ead/… -- personally, I still think we could find an alternative. @CommonsWare: Thanks for letting me know about that thread. I'm in that group as well as the NDK group, but I only get emails for the NDK group, so I never saw that discussion. tl;dr. but just wanted to add that YES, take your head out of the sand and agree that android documentation is a mess. i understand OP when he says he may never delevelop for android because of that (and maybe java:). e.g. they talk about the multi task android way, but then the menu example blatantly shows a "Quit" option.... wtf?! @CommonsWare This is a remarkable answer. Thank you. I expected to find the word/term "service" in the answer but I didn't. Did I miss anything? Im back on trying Android, and I ran into this quitting-business once again. One major problem with not being able to fully destroy/quit a Service/whatever is that it is insanely error-prone! If I could restart an app (for real) I would know for SURE that all variables are reset - that everything is initialized to its starting point. Now, I need to do all that manually. So if I add a variable, and then forget to reset also that I'm gonna have problems when I "relaunch" the app, as soem variables (and stuff) will be lingering. This is still something I cannot understand how anyone can defend. Lifecycle management of activities by the OS is not an immutable law (if it were we would all be writing for iPhone instead). Many users prefer the warm fuzzy feeling of knowing an app is closed after they logout, not to mention avoiding the extra keypress to return to the home screen. Leaving an app hanging around when it is doing absolutely nothing is also a drain or resources while waiting for the OS to do it. If it weren't app killers wouldn't be so popular (and necessary). @Ted for more reliable reinitialization, maybe you could minimize the amount of state that is stored at the Activity or Service itself. Instead, place most of the state and code in a separate class that you recreate "from scratch" every time the Activity or Service starts. I had the same dilemma about Killing the appliction....thanks that helped !!! @BarryFruitman App killers are not necessary, and in fact will break many properly-functioning apps. An activity that isn't in the foreground isn't using the CPU, so there's no issue with "leaving it hanging around" i.e., cached in memory. The OS will just kill it if it needs the memory. And if an app is using the CPU but not running in the foreground, it is running a service; i.e., not "doing absolutely nothing". @Jon O: Yes, but CPU is not the only limited resource. Unused apps are a waste of RAM, too. The OS may kill them automatically, but it doesn't always do it in the order one might expect or prefer. As for app killers, I tend to agree with you now, but I still think a good old-fashioned "close" button is a good idea for certain apps. @Jon O: 1) I'm pretty sure it is standard practice to free all RAM immediately when an app exits, especially in Android where every app gets its own JVM. Just because RAM isn't wiped doesn't mean anything is "cached". 2) I'm even more certain Android heap size is not unbounded. 3) Heavy memory load happens quite frequently on older devices. Not everyone has a 2Gb phone. 4) Unreleased RAM is not a waste of battery, but it is just a waste of... well, RAM. @BarryFruitman 1) "Free" is commonly implemented as "indicate that someone else can use this should they need it". So if you reopen an app immediately, almost everything becomes a cache hit. 2) Agreed; reread! :) 3) Not certain but IIRC apps are closed in LRU order when contention occurs. 4) There is no such thing. It's only wasted if it isn't in use; unused RAM = free cache! geekfor.me/faq/you-shouldnt-be-using-a-task-killer-with-andr‌​oid <-- see the Addendum, especially. "Millions of people also have to wait several seconds to answer their phone after it rings because Android has to free memory first by killing apps you haven't used in weeks." -> Fortunately this is not the case. Android apps are generally killed a lot faster than that. Don't believe "fake" task managers and the fact that Android does, in fact, show you the app in the task manager, that doesn't mean it's using memory, in fact, you will rather have to fight to HAVE your memory not killed all the time at any time, than having to worry about the opposite. @CommonsWare, He is asking how to build an application like a web server. The "web app model" you so adore is actually severely limited. You can't build a database server or a web server using "web app model". Indeed, there is no such thing as a major application using pure "web app model" because a web app model itself relies on a web server that runs on "program model". @MartínMarconcini, It doesn't change the fact that you'd have to wait. One second is one second too long. Anything near two seconds is an eternity. @Pacerier I agree that exit buttons are OK for some things (heck, even I had to add one to 8tracks app when I worked there, and it was a pain to add). But that is not going to make your Ringer faster. @MartínMarconcini, It has the potential to go faster when the OS does not need to kill tasks to get their memory before a new app can be launched. @Pacerier the benefits are superior to the few milliseconds you may gain. CPU on the other hand, may hinder your phone. Memory? most modern devices have enough ram to plan ahead and Android does a great job (I've always used Nexus devices). The same goes for iOS, the memory models work fine. Can it be improved? Sure but I'd say there are more important things than that. For example, the horrible state of the lifecycle between Activities and Fragments to name one. @MartínMarconcini, What superior benefits are you talking about? Implementing an exit button has the superior usability benefit. And there will never be enough ram, especially so on a hand-held device. Do you not know that demand grows with supply? I really don't agree with it being like a web page. A web page runs 100% at the server so its accessible for all users at any time. But an app does run inside the user's terminal (eg mobile phone), and can be equvalient of "minimizing" in windows. In the same way people don't minimize when they are finished with something, same should apply to apps IMHO. Imagine a notepad app. If I want to continue on my old note, I press home button, and then return to the note later. But if I want to start on a fresh empty note. Then it should be possible to kill the app and then start fresh. Totally agree with sebastian nielsen. As a user I can say that the big difference between mobile app and web app is that web app doesn't run on MY device and doesn't consume MY resources. So I don't care what it does after i leave it by closing browser tab. But when i finish working with app and i close it (e.g. any game or other "heavy" app) i really want to CLOSE it rigtht at the time. I don't want it leaving until OS decides to kill it. On exit advertisement is not the reason Android-exiting is so badly needed. @Dan, How is it even remotely possible that me fully exiting an app that I'm done with for a week hinder Android OS from its job? So there's more free memory. That can't possibly hinder android! It sure could speed things up later, though! If I know I'm done with the app for a while, it serves absolutely no purpose whatsoever. It only takes up memory, and sooner or later, I will launch a new app and the OS will have an added delay because it has to go kill some apps that I knew WEEKS ago that I was done with. @Jesse Gordon, Have you watched the actual processes after you killed an app? They get restarted, the OS assumes there was a problem... The OS will kill apps when it needs memory. Did you even read anything posted in the articles mentioned around here? @Dan, To think that Android would do something like this.... it really needs some serious white-washing re-education. [SOLVED] How is bundle sent to onCreate if App process killed? [SOLVED] In which cases should one override onDestroy()?